THE BEST DOOR LOCK EVER INVENTED !!! 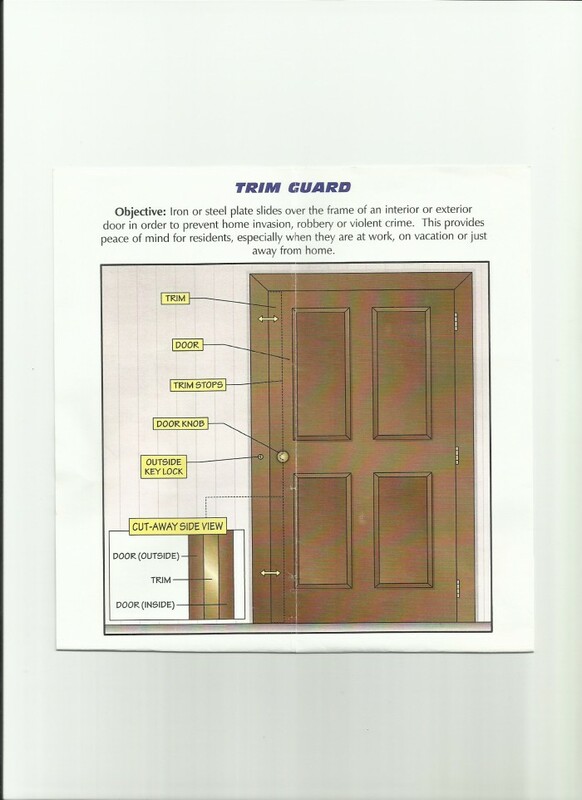 The door security device provides a trim and a track, the trim further having a plurality of spaced apart male tabs, each male tab having a horizontal connected to a downwardly disposed vertical, the track further having a plurality spaced apart female tabs, each female tab having a horizontal connected to an upwardly disposed vertical, the track fastened to an existing stud/jamb of an existing door, whereby the trim is engaged with the track via the tabs by moving the trim laterally with the trim remaining engaged with the track, the trim thereby blocking the opening of a door. This security door lock helps prevent home invasion. burglary, kidnapping and physical domestic violence. Very Affordable under $100.00 Easy to Install 3- step Installation. 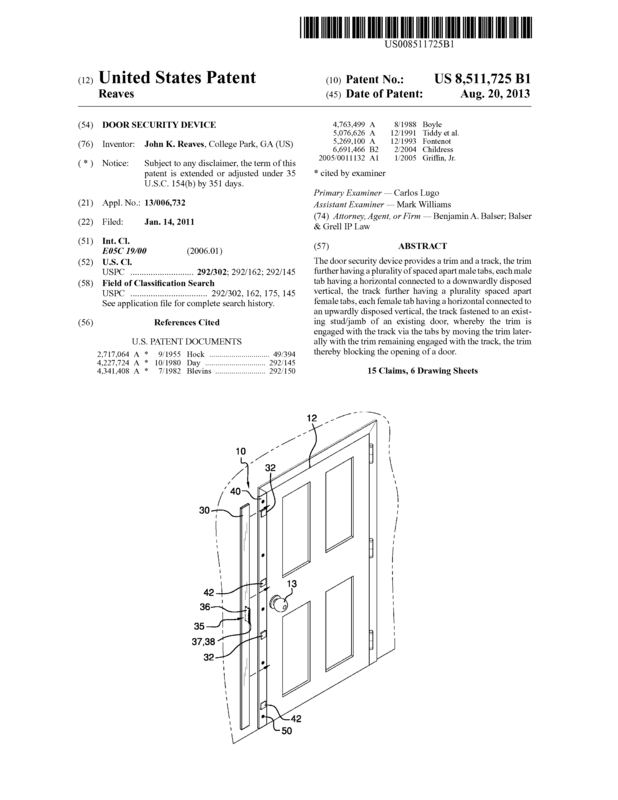 Page created at 2019-04-25 4:04:09, Patent Auction Time.